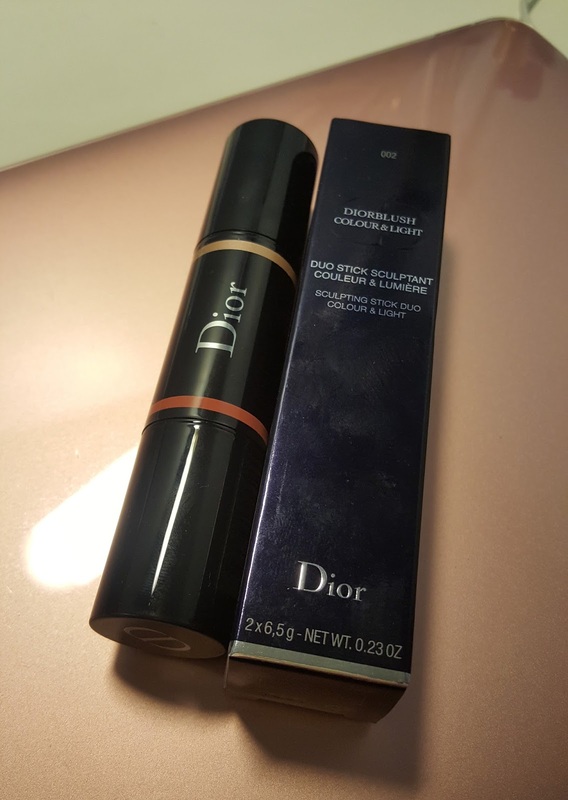 This is Dior's Diorblush Colour and Light Sculpting Stick Duo from the Fall 2017 collection retailing at £32.50. 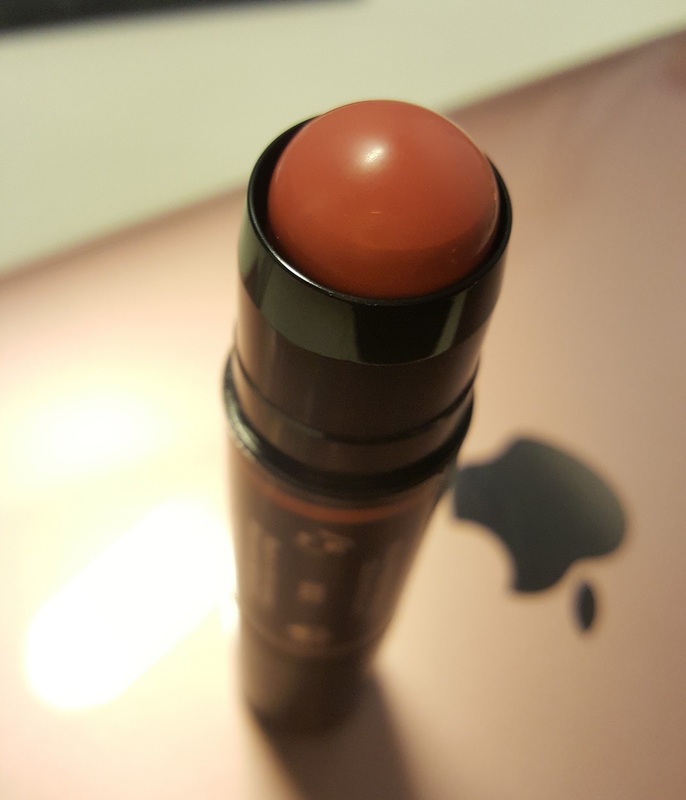 The limited edition product is a double ended stick containing either a contour and highlight (001 Plum Shimmer) or blush and highlight (002 Peach Glow). I looked at both products but the contour on Plum Shimmer was too dark for my skin tone (only available in one shade) so I opted for the one with blush (which I rarely wear). I applied the highlighter end first to the bridge of my nose in a downwards sweep and blended it out with my fingers and a brush. You can also apply this to the cheekbones to create more light and enhance the area. Add a little on the chin for a fresh dewy look. Next, dab the blush end on the apples of your cheeks and blend. The texture is creamy and glides right on. You do not need a lot of this product. 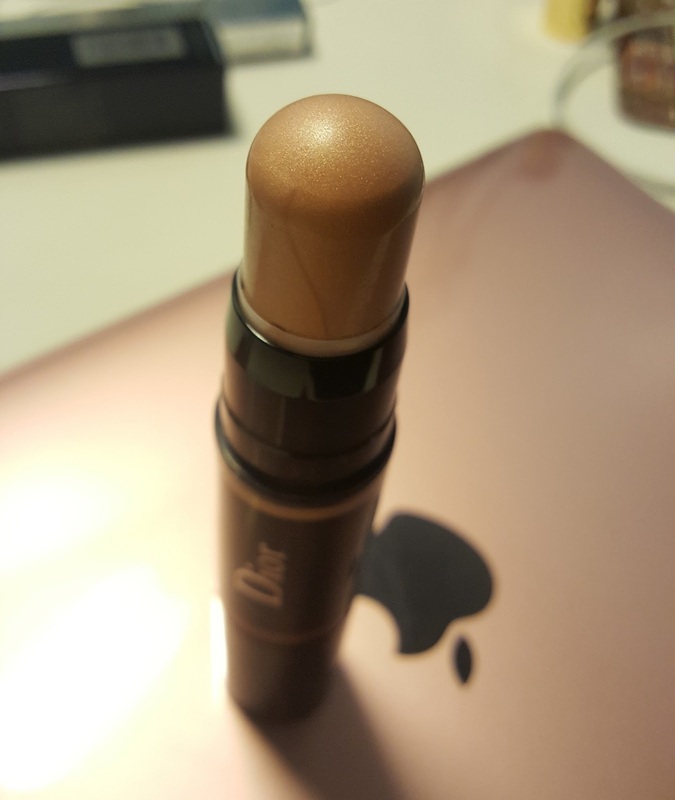 However, if your skin is dry, it is better to spray a moisture spray (I use Clinique's moisture surge face spray) first before applying this sculpting stick. The size the product is quite big and bulky so I wouldn't take this out with me. It does hold for several hours though which is ideal. Overall, this is a good product - I was attracted by the shimmer on the highlighter end, it isn't too sparkly - the glitter specs are very fine and evens out once you blend.